Executive Summary: You are Corvo Attano, royal protector, and you've just witnessed your empress murdered by assassins and the heiress kidnapped. You're arrested for her murder and locked in Coldridge Prison. During your interrogation, the Lord Regent reveals that he's framed you for the murder and orchestrated the assassination to further his own agenda. However, before you're execution, you're visted by The Outsider, a mystical being who brands you and grants supernatural powers. Using these powers, and with the support of Loyalists to the heiress, you escape Coldridge Prison and start unraveling the conspiracy and rooting out the corruption the infects the city of Dunwall. Or you can get bloody revenge and murder every single person who ever wronged you, contributing to the rivers of blood that drive an infectious disease that's ravaging the poorer parts of the city. 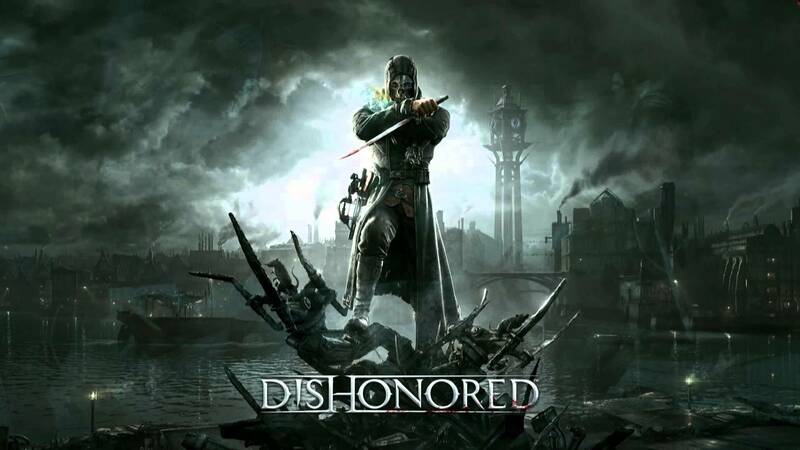 Dystopian Visions: The world of Dishonored, specifically the city of Dunwall, is a city divided deeply by class. The poor are being wiped out by disease, while the upper classes plot against each other. It's also an industrial world, where whale oil powers everything. This morbid cycle of finding great living things, and literally flaying them alive for the oil that powers everything in the city contributes to the atmosphere of death and decay throughout Dunwall. Utopian Undercurrents: Dunwall is a city past its prime. The technological advances of the alternate industrial age it exists in are still there, but they're used to suppress underclasses. Parts of the city still reflect the opulence of the peak, and the upper classes are still enjoying the benefits. Level of Hell: Sixth. You can heal your injuries with a drink if you can afford it, but you'll need those health elixirs whether you're part of the elite or working for one of the many gangs that control the slums. Legacy: Dishonored took the stealth gameplay of Thief and combined it with the open-ended level design of Deus Ex to create something great. It generally skews towards stealth, no-kill playthroughs or violent, murder-everything playthroughs because it has two endings based on how much murderin' you do, but the gameplay is extremely flexible. It's both an excellent stealth game that nails all of the tools you could want to be sneaky, and a robust action game that gives you dozens of options for killing. In Retrospect: Dishonored got two pieces of downloadable content that expanded upon the story, which showed the point of view of the Empress's assassins. It also got a recent sequel that received a generally positive if mixed reception. But Dishonored is a fantastic game for all of its world-building. It's beautifully realized in a dark way, and utterly filled with little stories and characters that give it life.